It's true what they say - you don't fix what's not broken. And that's what Samsung did for the Galaxy S9 - it didn't change what was already great, it just tweaked specs wherever possible. And it has worked out just fine for them. Futuristic is what we used to call the Galaxy S7 and S8 design, but now the iconic glass curves are just mainstream. 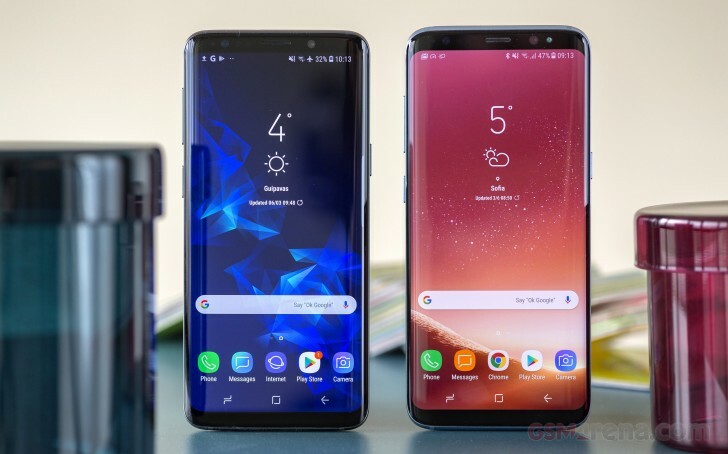 You can see them shine on the cheapest of smartphones, even on knock-offs, all the way up to the current Galaxy S9 series. 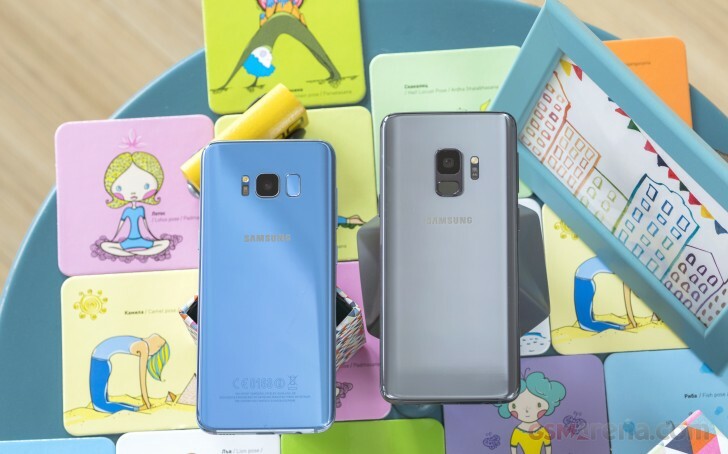 The shape might be wearing off, but Samsung has managed to keep its coolness for yet another year thanks to some stunning choice of colors. 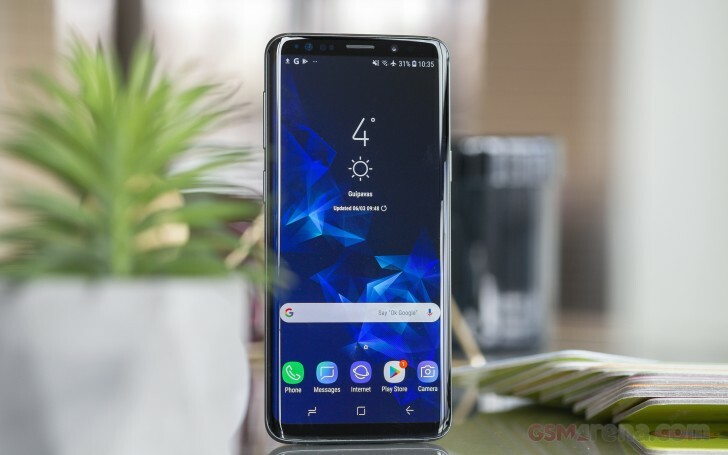 There is a new chipset - Snapdragon or Exynos - and regardless which one ends up in the Galaxy S9 which is available in your region, it's enough to know that they are both blazing-fast. But the camera is where the company has really pushed the envelope. With a variable aperture of f/1.5 to f/2.4, now the Galaxy S9 should be able to rule the field in either bright daylight or after dark. We also appreciate the 4K at 60fps video recording and the 960fps slow-mo clips with automatic motion detection. There are even more tweaks which may not be as apparent, but you would appreciate them once you start using the Galaxy S9. The loud stereo speakers tuned by Harman - a first for the Galaxy S lineup - promise immersive sound with Dolby Atmos support. The combined fingerprint, face, and iris recognition for versatile unlocking seems like something we need on every modern phone. There is more, of course, but before we kick off this review, let's dig into the specs. Display: 5.8" Super AMOLED Infinity, 2,960x1440px resolution, 18.5:9 (2.06:1) aspect ratio, 570ppi, HDR 10 compliant. Rear camera: 12MP, f/1.5 and f/2.4 aperture, dual pixel phase detection autofocus, OIS; multi-shot image stacking; multi-frame noise reduction; 2160p/60fps video recording; 1080p/240fps; 720p/960fps super slow-mo with automatic motion detection. Chipset (review unit): Exynos 9810: octa-core CPU (4x2.8 GHz 3rd-gen Mongoose + 4x1.7GHz Cortex-A55), Mali-G72 MP18 GPU. Chipset (US and China): Qualcomm Snapdragon 845: octa-core CPU (4x2.7 GHz Kryo 385 Gold & 4x1.7 GHz Kryo 385 Silver), Adreno 630 GPU. Memory: 4GB of RAM; 64GB / 128GB / 256GB storage; microSD slot for cards up to 256GB, UFS cards support. Battery: 3,000mAh; Adaptive Fast Charging; WPC&PMA wireless charging. Misc: Fingerprint reader; iris recognition/face recognition; Stereo Speakers with Dolby Atmos; 3.5mm jack; bundled AKG headphones. If recent indications floating around are to be trusted, the Galaxy S9 will be sending off a design that has inspired so many. 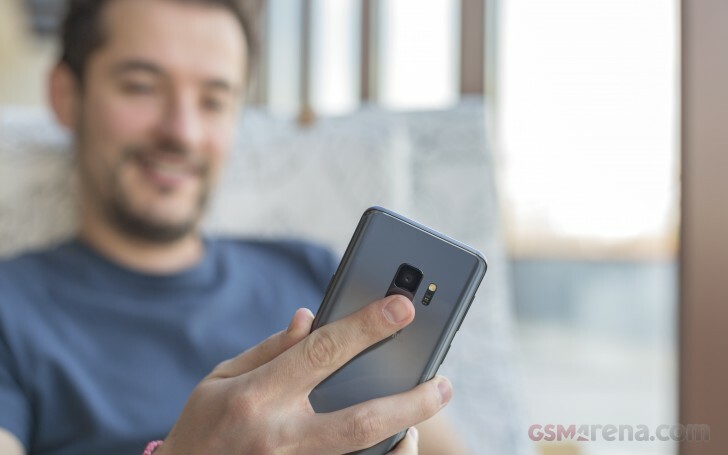 Once a shape from the future, the Galaxy S9 have perfected everything there is to this body, including the fingerprint sensor position. 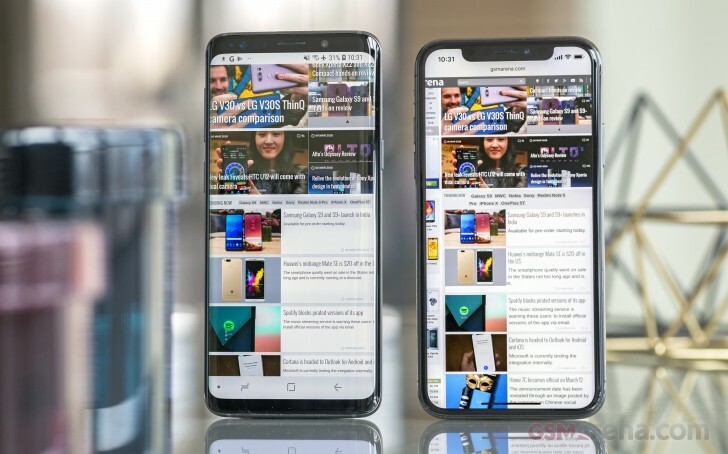 And with the anniversary Galaxy S10 coming next year (please don't call it X) we are probably enjoying this sleek glass shape in its current form for the last time. 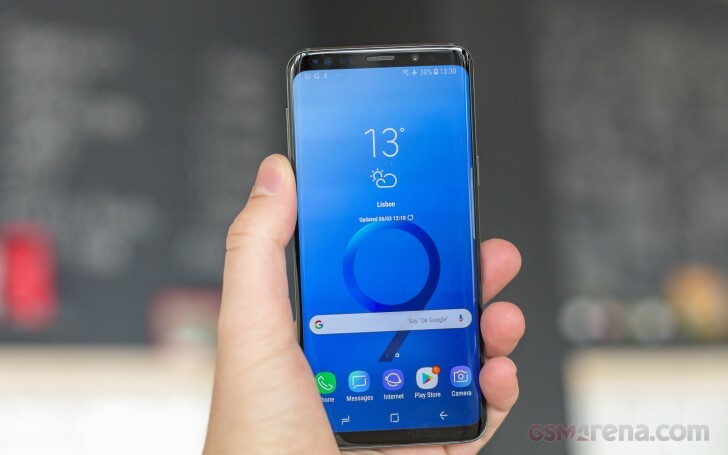 The retail package of the Samsung Galaxy S9 should be an example of a flagship treatment and we hope other makers (one Cupertino-based company in particular) take notes. Inside the Galaxy S9 box you'll find a proper (fast) charging plug, a USB Type-C cable, a microUSB-to-Type C and USB-to-USB-C adapters. There is also a premium AKG-tuned in-ear headphones with mic bundled with the Galaxy S9. This complete accessory treatment is one of the things we hope other companies adopt. There is nothing sweeter than popping your phone out of the box and start using it right away instead of going on a shopping spree for adapters and cables. It's made of shiny glass, has stunning looks, you know it's a Galaxy, and that one down there is the S9. Looking different hasn't been on the Samsung's checklists lately, but some designs age well and this curvy glass shape is one of these. 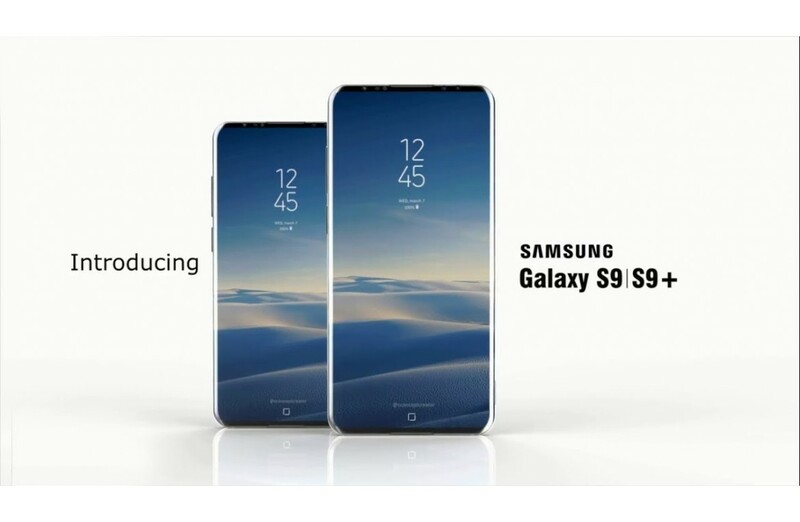 The Galaxy S9 is as big as the S8 as far as anyone is concerned. There are negligible differences in all dimensions - 1mm shorter, half a mil wider and thicker, but nobody could really detect those even when the two Galaxies are sized up next to each other. 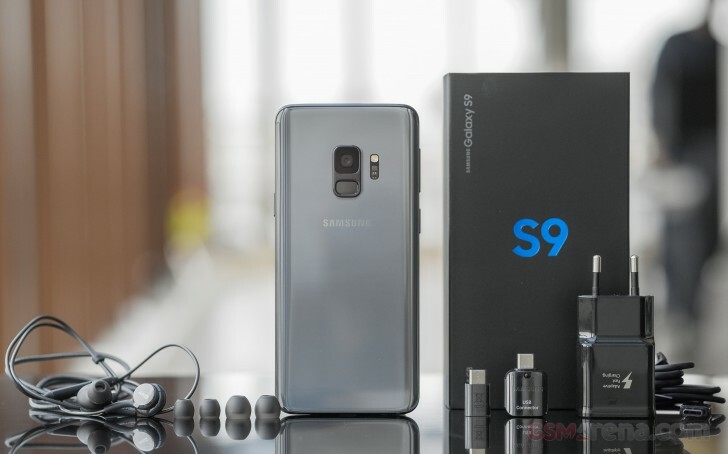 The gained weight is rather insignificant, too - the S9 has added some 8g for a total weight of 163 g.
Samsung has been a master in the glass design domain and its rule continues with the Galaxy S9. The maker pushed this so-called glass-sandwich shape with a polished metal frame in-between and it's still as attractive as in the beginning, if not more. 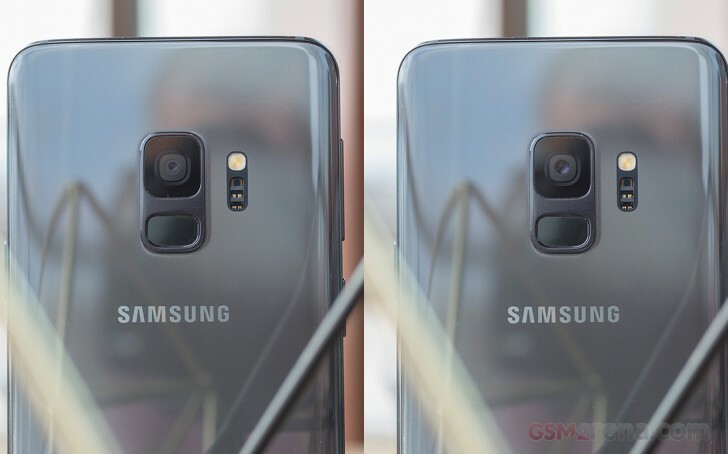 By trimming the screen bezels and bending the panels, the Galaxies have always had this futuristic look, because we all know everything will be round in the future, right? Unless it's a Blade Runner/Altered Carbon-like future, of course. The Infinity AMOLED, 5.8" in diagonal for the S9, takes up most of the front. Its long sides are stretching frame to frame, as usual, while the top and bottom bezels are slimmer than ever. The pressure-sensitive Home key is beneath that screen, just like on the S8, while the top bar has seen a minor improvement - the iris scanner is now hidden under the black glass and is one less hole up there. Both front and rear panels are made of Gorilla Glass, with rounded edges as usual - somewhat of a trademark for the flagship Galaxies. And while Super AMOLEDs at the front hardly suggest the exact model, the back of the S9 is where things get different. First, the fingerprint scanner is where it should have been a long time ago - just below the camera. That alone makes the Galaxy S9 easy to pick in a lineup of its glass siblings. But if that's not enough, then there is the forever single LED flash and the heart-rate sensor placed on a new spot. The Galaxy S9 still comes with a single 12MP camera at the back but it has new features. All flagship requirements are met with OIS, dual-pixel autofocus, and image stacking support. There is a new 4-frame noise reduction for 30% less noise than the S8 pictures. But the highlight of the new camera is the variable aperture - you can opt for f/1.5 bright aperture, or f/2.4 darker one. No Fs in between those, sorry. Looks can be deceiving, and there is something that got better even though it can't be spotted at first. The frame has been somewhat refined and now it's easier to pick the S9 from a table and makes it grippier and thus more secure in hand. The power key got a little better, too. Now it's bigger on the S9, which makes and thus slightly more convenient. Another invisible (and long overdue) upgrade to the naked eye is the stereo speakers setup. The first speaker is behind the earpiece grille, just like on a bunch of Huawei and iPhones. The other one is at the bottom, firing behind a completely new lattice. Samsung opted for (its own) AKG by Harman speakers with Dolby Atmos support. We'll see how it fares against the old one later on. The Galaxy S9 is available in 64, 128, and 256 GB versions - all of those boasting a microSD slot just in case. The Dual-SIM models will rely on a hybrid slot, but it's still better than not having an expansion slot.